Complete your wardrobe with the perfect off-duty look we all love in the LaVelle boot by UGG®. Water-resistant leather or suede upper features a decorative zipper. Easy pull-on style. UGGpure™ wool lining. PORON® and UGGpure™ wool insole. Rubber outsole. Imported. Measurements: Heel Height: 1 1⁄2 in Weight: 12 oz Shaft: 5 in Product measurements were taken using size 7, width B - Medium. Please note that measurements may vary by size. Complete your wardrobe with the perfect off-duty look we all love in the LaVelle boot by UGG®. 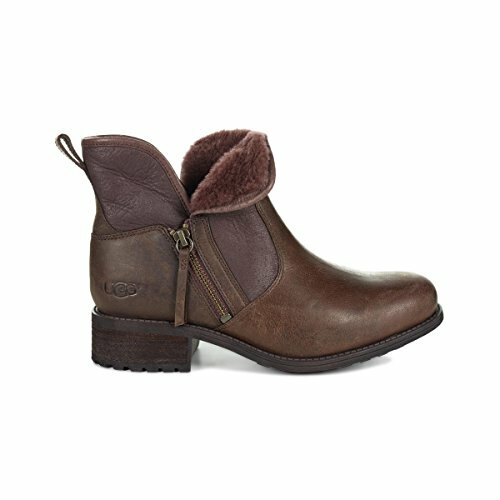 Water-resistant leather or suede upper features a decorative zipper. PORON® and UGGpure™ wool insole. Rubber outsole. Imported. Measurements: Heel Height: 1 1⁄2 in Weight: 12 oz Shaft: 5 in Product measurements were taken using size 7, width B - Medium. Please note that measurements may vary by size.